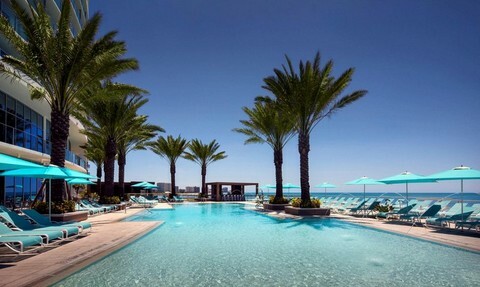 Opal Sands Resort, located on one of the top-rated locations of Clearwater Beach, is the beautiful brand new hotel resort in the area. This amazing 230 guestroom and suite resort guarantees breathtaking views of the water from the large private balconies and the floor-to-ceiling windows. Skyline Limousine offers convenient 24-hour airport transportation to and from Opal Sands and the surrounding Clearwater Beach area. The Opal Sands Resort is approximately a 25 to 35 minute drive from St Pete-Clearwater Airport and 35 to 45 minutes from Tampa International. Sedan transportation to or from Opal Sands is approximately $75 each way plus gratuity. Travel in luxury and style in one of our sedans, limousines or SUV’s at affordable rates. Call us to book today!